Master business coach Rose Harrow talks about "Earning A Real Income: How to Run Your Training & Consulting Practice as a Real Business" Master business coach Rose Harrow talks about "Heart-based Approach to Marketing and Business Strategies"
Let's take a look at practice management from this angle - how to earn a real income doing your training and consulting business. 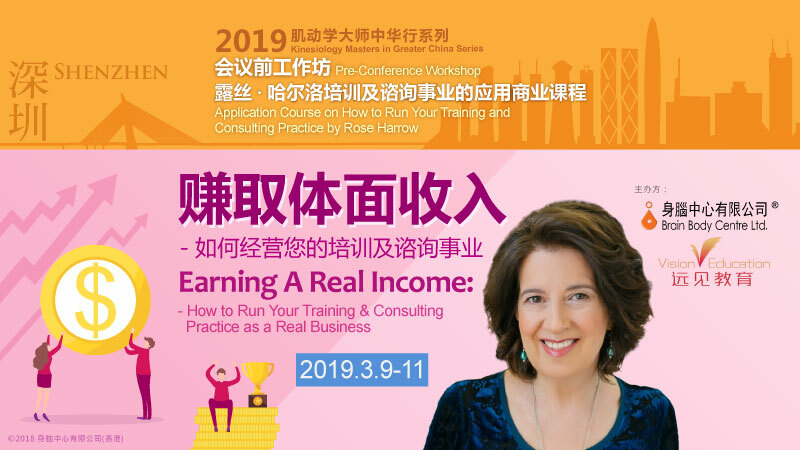 We have Master Business Coach from the U.S. Rose Harrow coming to China next March to share her ideas with us. I don't need to emphasize how important it is to be able to run a sustainable and profitable business as a kinesiology instructor, do I? 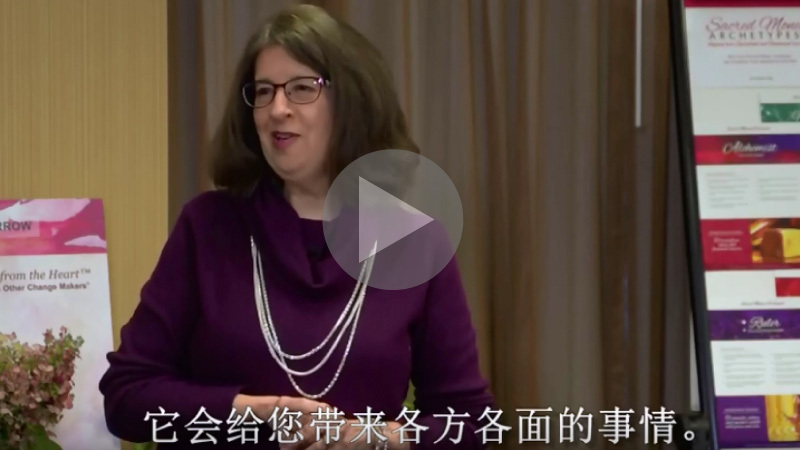 Not only will Rose share her ideas of heart-based marketing and management in her workshop, she will also share these ideas in a panel discussion in the 2019 Greater China Kinesiology Conference. If you love what you do and want to know the strategies for running your training and consulting business that fit with your personal archetype, let's connect. Pre-requisite: none, participants aged 16 or over are welcome. 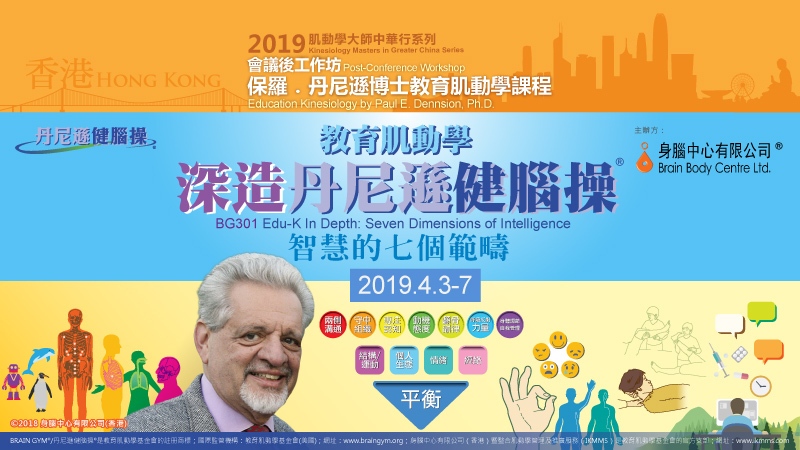 Sponsors: Brain Body Centre Ltd. (Hong Kong) & Shenzhen Foresight Management Consultant Ltd.
Matthew Thie will teach the following course in Taipei. It is the first time he gives lecture in Taiwan. The following courses will be taught by Paul E. Dennsion, Ph.D. - a renowned educator as well as a world-class learning skills authority. We are getting ready to sharpen our knowledge and skills in Educational Kinesiology (Brain Gym) again! 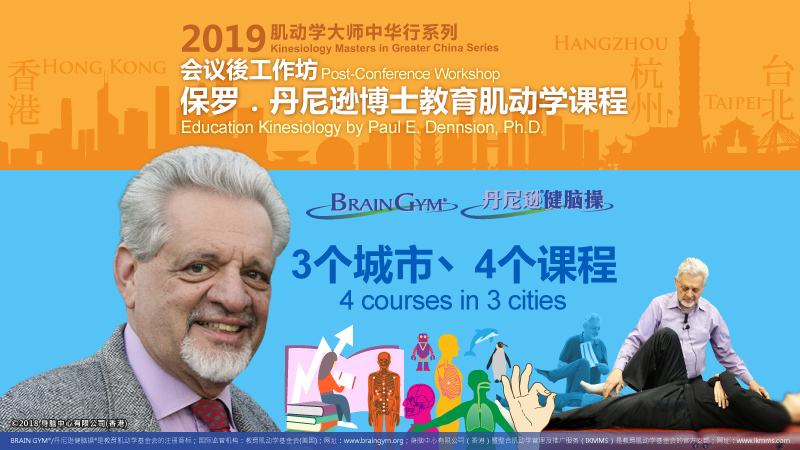 The founder of Brain Gym® Paul Dennison, Ph.D. will be teaching 4 courses in 3 cities from March to April, 2019, after the 2019 Greater China Kinesiology Conference in Hangzhou. 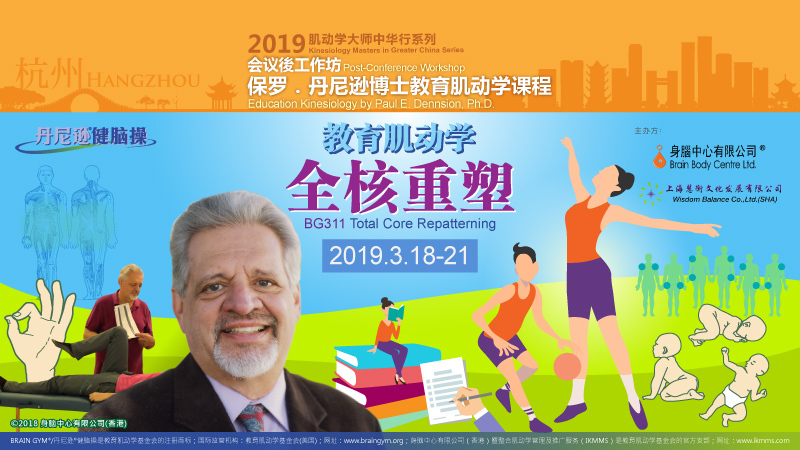 Total Core Repatterning (TCR) is the first course that Paul will be teaching in his 26-day-long trip to mainland China, Taiwan and Hong Kong. As he says, TCR combines the use of Touch for Health® 42 muscles and the Brain Gym® repatterning process. 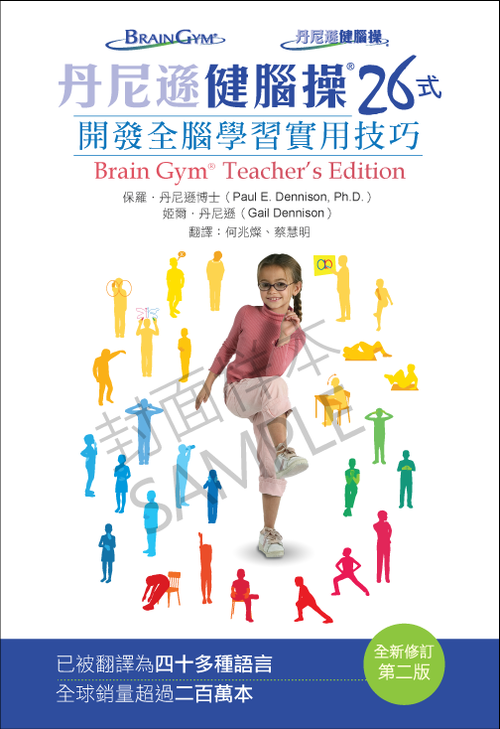 It should be fun to learn for both Brain Gym® and Touch for Health® students and instructors! I am looking forward to working all the Touch for Health® 42 muscles to REPATTERN myself and clients - whole-body, and deep to the core! Anyways, TCR gives me one more thing to play with in the Learning Menu of the structural realm of Edu-K In Depth seven dimension balances. 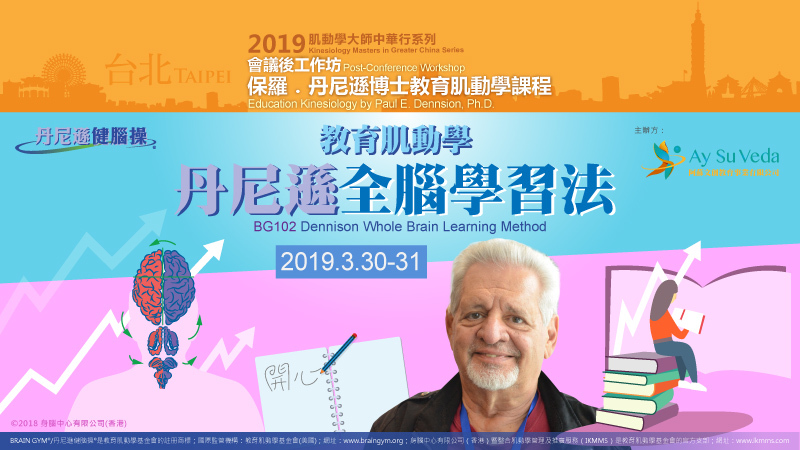 One-time special exemption for pre-requisite: Student who has not taken Brain Gym® In Depth may still come to this class if they make up the pre-requisite by taking Brain Gym® In Depth to be facilitated by Paul Dennison Ph.D. on 3-7 April 2019 in Hong Kong. The pre-requisite of Brain Gym® In-Depth is Brain Gym® 101. For enquiry and enrolment: Please stay tuned for later announcements. "Language of Movement ¡K some people say it's their favorite class. In this modern age, people are stressed. They need to have stress management to get their nervous system back to normal. So we have deep repatterning techniques to go deeper - adrenal stress release, cranial stress release venal/venous core response¡K Ileocecal valve balance and much more. Things that people need special work to hold their balances better. So you'll really feel good and be able to help your clients with Language of Movement." 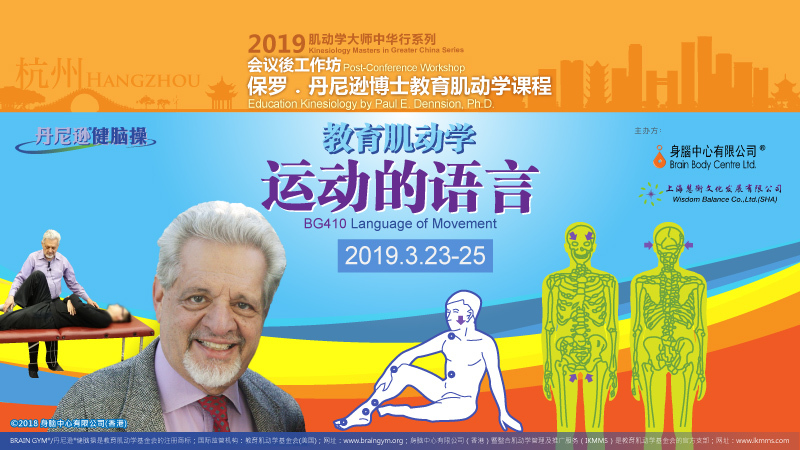 "Language of Movement" will be the second workshop that Paul Dennison will teach in the Greater China area in March, 2019. I haven't attended this 400-level course myself, but have received and observed private sessions from Paul using some of the deep repatterning techniques offered in Language of Movement. By reading and translating the workshop manual, I see that the Learning Menus offered in Language of Movement "add meat" to the existing structure of a Seven-dimension of Intelligence balance. Many additional techniques are offered in the structural realm, personal ecology realm and acu-realm on top of the ones offered in Brain Gym® In Depth. Applied Kinesiology techniques are also being used. I am foreseeing that those who take the workshop will get a fuller if not total picture of what Master Paul usually uses, and how he usually works, when seeing clients in a one-on-one setting. This course used to be open to Licensed Brain Gym® Instructor and Consultant only - only for the dedicated ones who wish to pursue in-depth study with the Master. This year, the course is open to those who have taken Brain Gym® In Depth. I would recommend this course to those who are serious in becoming good kinesiology consultant using Edu-K as their core method or technique. March 18-21 - Paul Dennision, Ph.D.
March 23-25 - Paul Dennision, Ph.D.
April 3-7 - Paul Dennision, Ph.D. Sponsor: Zhengzhou Jing's Jade Health Consultancy Ltd. In 1998, Conrad Ho attended my first international kinesiology conference held in Victoria of British Columbia, Canada, a city with classic beauty and full of history. It was a fresh new experience, interesting and rewarding, both in knowledge and exposure. Apart from the conference, Victoria was also a tourist hotspot with beautiful scenery and culinary adventures awaiting to be explored. Since then, I attended minimum one kinesiology conference in every two years. After a few times, I felt that although there was always something new, there were not too many. I began to consider whether to go or not. With an attitude of really knowing the matter from inside out, I made up my mind to continue. Gradually, I had something worthwhile to share in the conferences, too! Naturally, I had to go. Speaking to students from different countries with different cultures had subtle influences upon my teaching style. This kind of experience made me understand that basically all judgments which I believed to be right could be totally different in the eyes of students of other countries. I had learnt the significance of humility and flexibility, to be more able to respect my clients in my balancing sessions. After about ten years, having heard the founders of different kinesiology streams talking about their experiences and original intentions in their works, I cumulatively became more aware of the framework or the overall perspective of the academic trends of kinesiology. For example, I have learnt how the educational and self-responsibility model of kinesiology had evolved from the therapeutic or medical model of applied kinesiology and eventually secured their own positions in the industry. This gave me a “map” to guide me along in my endeavors in academic development and company operations. In the past five years, after having attended many international conferences and some other more local conferences in Germany, Japan and South Korea, and listened to many speakers from different countries, I began to have an overall picture of kinesiology worldwide and the trend of the whole market. It helped me in my formulation of company strategy and selection of materials to teach in my courses. At the international kinesiology conference held in Damme, Germany in the summer of 2018, I was addressed for the first time by an international friend who was already a leading figure in kinesiology in her own country to be someone more senior. It suddenly dawned on me that I had been in this field for exactly 20 years. I had old friends from all over the world and I was considered as an “old” friend in the eyes of others. What I was doing was making certain contribution to kinesiology, no matter how little. Comradeship had been cultivated by attending numerous international conferences over the years. Of course, while “drifting” around in such conferences, there had been encounters that had sparked commercial benefits. For example, I bumped into my good friend and business associate Renate Wennekes from Germany when I attended the conference held in Ottawa, Canada in 2007. That was why I had stated that the conference was a venue for instructors to find students and sponsors to locate instructors. In the ambience of friendly sharing in the conference, there was a grain of additional trust that one would seldom find in ordinary business settings. In my own prediction, 2019 will be a turbulent year. In the domestic scene as well as abroad, there are uncertainties that are troubling China and the world economy. Training and personal growth courses are considered as a kind of luxury goods. This industry will be at the forefront of the shock in times of economic downturn or expected downturn. 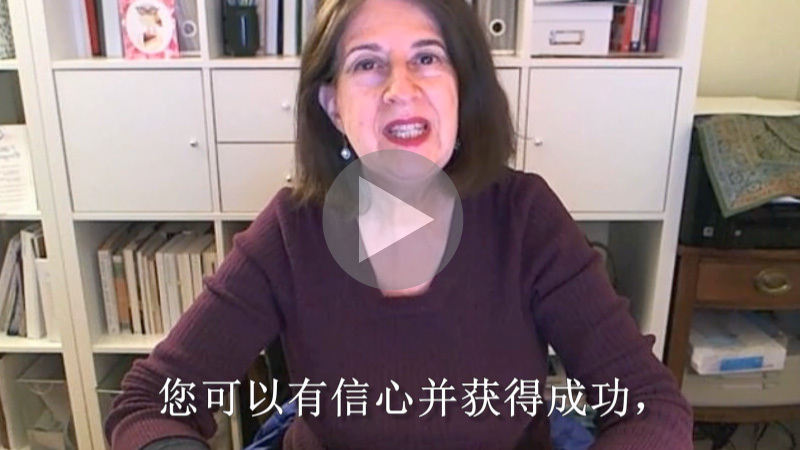 As these factors will last for at least several years while more and more personal growth courses will enter the China market from abroad and local development, it is expected that the Chinese training industry is entering a tough phase of intense competition and elimination. Only the strongest few may stay on in the market. This explains the background thinking of our moves in the 2019 conference. We are working to equip participants to emerge triumphantly in the keen competition ahead. Through my relatively subjective personal experiences and relatively objective trend analysis, Conrad Ho is talking to the customers, especially registered/licensed kinesiology instructors and consultants, about the possible meanings of attending the 2019 conference. Look forward to meeting everybody in Liangzhu, Hangzhou in March 2019. 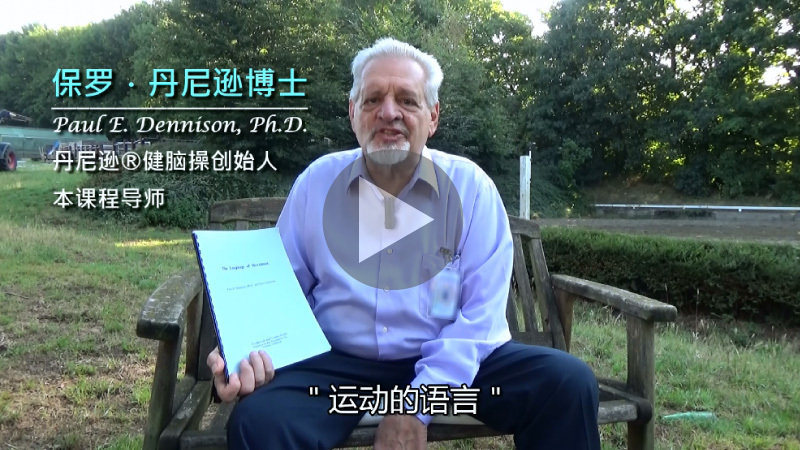 2019 Greater China Kinesiology Conference will be held in Liangzhu, Hangzhou. It had a humble beginning in Hongkong in early 2000s as a small event of several dozens of participants, growing to a conference of more than 100 participants in Shenzhen in mid 2010s. This time, it will be the fifth in the series. The most important difference of this conference from those of the past is the content. Apart from the “trunk” being the kinesiologies based on the educational and self-responsibility models, the sponsors have also included other techniques that will boost psychological and physiological balance. The purpose, on one hand, is to encourage openness in attitudes and the broadening of perspective of kinesiology instructors and students. On the other hand, it allows the experts and students from other fields to experience kinesiology. In the broad sense, kinesiology is the study of movement of the human body. In the narrow sense, it is the art and science of muscle checking. In terms of time, the first school to appear in kinesiology is Applied Kinesiology following the therapeutic model, followed by Kinesiologies based on the self-responsibility model and, then those on the educational model. 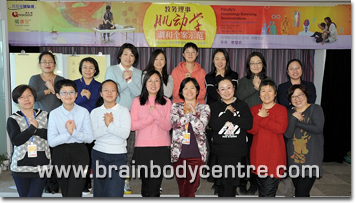 We organize Greater China Kinesiology Conference with the focus on the latter two streams. They have a wide range of applications which include improving body structure, physiological operations, psychological states and so on; enhancing learning abilities, sports performance as well as the work efficiency of all staff of a company, etc. ; also incorporating different energetic healing methods (such as flower essences, essential oils, homeopathy, etc. 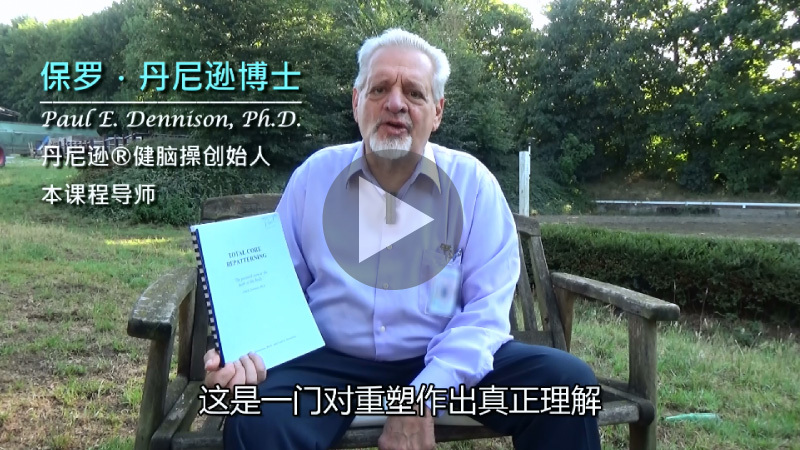 ), the theoretical framework of traditional Chinese medicine and so forth. These are to obtain biofeedbacks to face different life challenges, like allergic reactions, learning difficulties, emotional distress, etc. Building on the experiences of organizing the past conferences, the 2019 conference is the first time to introduce techniques in other disciplines for reference. Apart from giving a brain-storming experience to participants at the academic level, it would train up the sponsors’ teams to get ready for organizing the international conference in Shanghai in October 2020. In this event, even more schools/streams of kinesiology and other technologies would appear. Course organizers, certified instructors and ordinary students will all be greeted with a new era of diversity. The topic of the first seminar will be "Fear-based vs. Heart-based Management and Marketing". According to the understanding of Conrad Ho and myself, the ideal of the self-responsibility and educational models is to cultivate the client’s ability to independently create a more balanced life. Therefore, if one uses marketing strategies based on fear or hunger to promote and states that they can solve the problems of the client on their behalf, it is contradictory to the ideal. What are viable alternatives? We have invited three speakers to lead the discussion. They all have served on the boards of directors of international regulatory bodies, namely, Rose Harrow, Matthew Thie and Amy Choi. Their emphasis will be on the business level, facilitating participating instructors to become more professional kinesiolgists following the self-responsibility and educational models. The topic of the second seminar will be "Equipping Oneself". We will invite industry leaders as well as pioneers from other disciplines to facilitate the discussion at the technical level. The objective is the same: facilitating participating instructors to become more professional kinesiolgists following the self-responsibility and educational models. 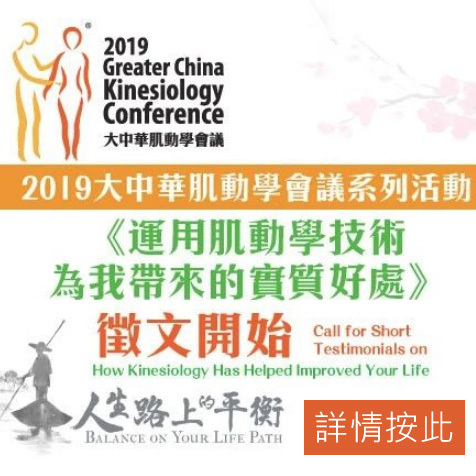 Both seminars will be focused on enhancing the professional development of kinesiology practitioners: (1) with the short-term goal specifically on encouraging certified instructors who want to grow further to take the examination for the qualification of registered professional kinesiologist awarded by International Kinesiology College during the 2020 Greater China Kinesiology Conference; (2) The general longer-term goal is to equip certified instructors to better prepare themselves to continue to excel in the personal growth market, capitalizing on the opportunities offered in the following few years by the expected turbulences in the world economy. Liangzhu, Hangzhou has given birth to one of the sources of Chinese culture for over 5,000 years. In March 2019, let us explore the relationship between kinesiology and the balance on your life path as well as design the directions of kinesiology and your life. 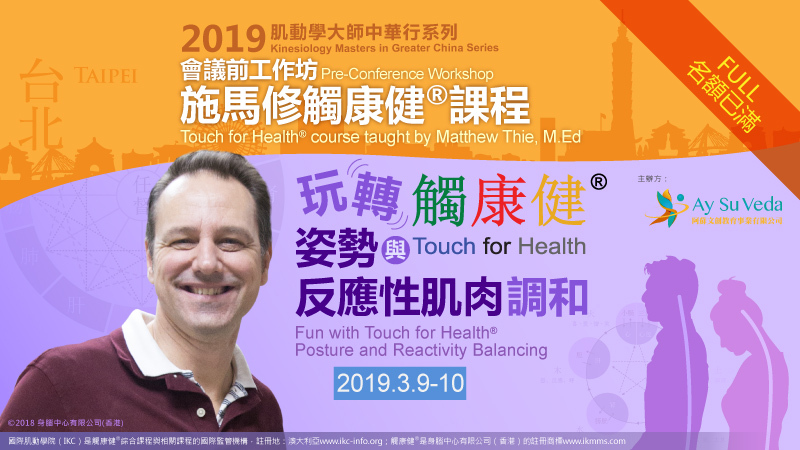 After the “Balance of Your Life Path” in 2019, we will move on to “Life-long Learning”, the theme of 2020 Greater China Kinesiology Conference. 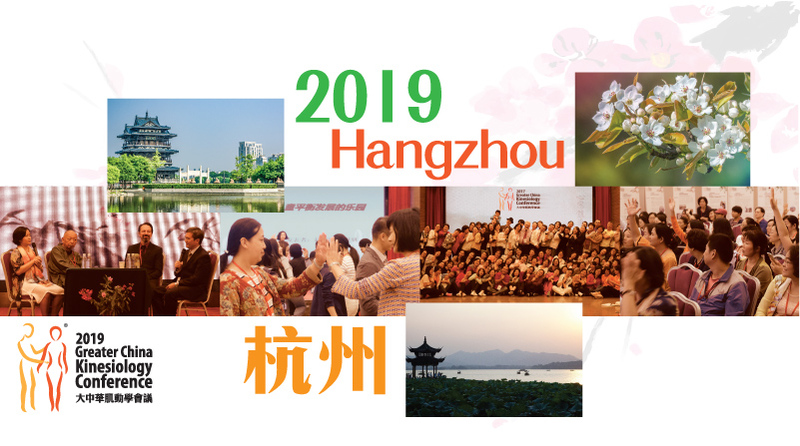 I am looking forward to meeting you all in Liangzhu, Hangzhou on March 14-17, 2019! © 2019 copyrighted by Brain Body Centre Ltd.